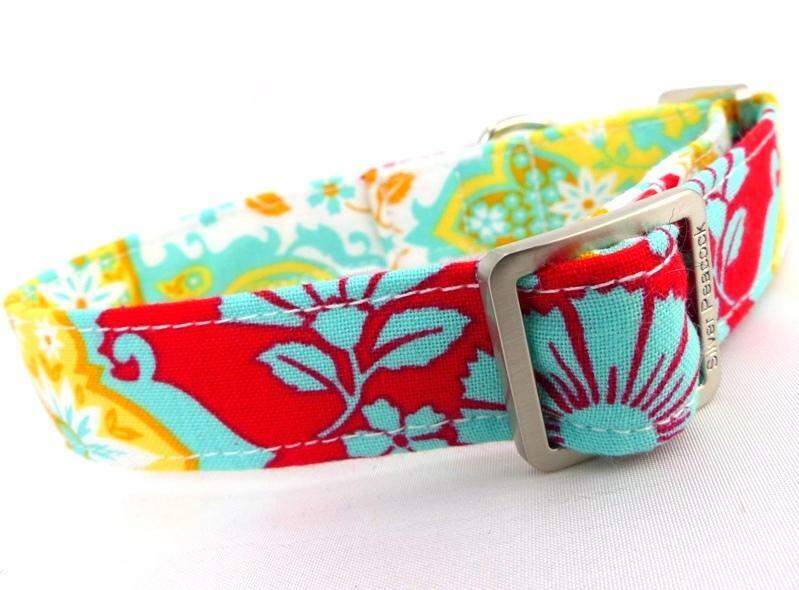 A wonderfully bright collar that will put a smile on everyone's face! An oversized print of red, white, aqua and gold shades, with styalised flowers very reminiscent of persian carpet designs. Because of the oversized print often one side of the collar is predominantly red and aqua and the other side golds and white - just fabulous! The collars are lined in co-ordinating red fabric and are finished with our signature robust silver coloured hardware. This design would also be suitable for a tiny collar or co-ordinating Ultimate lead.